Guest post by Kathleen Gage. To achieve the outcomes you desire, and stand out in the consumer’s mind, you must put a stake in the ground through your marketing position, meaning stand up for what you believe. Don’t be wishy-washy; stand tall and proud and be willing to do what needs to be done to let people know you exist. When you first begin your business, you may not have the confidence you will gain over time regarding how you market you, your products and services, and your business. 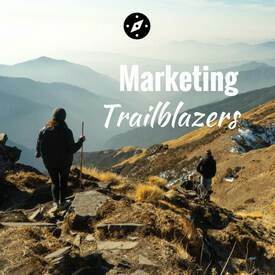 The sooner you get comfortable with marketing, the better. There is a direct correlation between your level of confidence and the amount of money people will pay for your expertise. There is also a direct correlation between what people will pay you and how your expertise is packaged. Given two experts with equal qualifications including years in the industry, education, and knowledge, and one has taken time to package their knowledge into books and information products and the other has not, the first will command more money for their expertise. When customers and prospective customers think of products like yours, you want to be the one who comes to mind and the one they will do business with. This top-of-mind awareness is known as market position. By celebrity position I am not referring to Oprah-level celebrity. 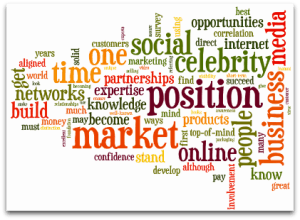 Celebrity in this context is becoming incredibly visible and well-known to your market. Involvement in social networks is a must-do! You cannot escape it. But ensure that your involvement is effective and not a waste of time. Although the most popular social networks are Facebook, LinkedIn, Google+, YouTube and Twitter you may find your market congregates elsewhere. To assure you get the most out of your social networking efforts it is best to survey your market to know specifically where they hang out. A great resource for this would be Survey Monkey. Over the past few years, media opportunities have cropped up all over the internet – everything from online magazines to blogs, internet radio, video sites, and social media. Many of these opportunities cost nothing but time. It’s amazing how much visibility a targeted approach will get you with online media. [pullquote position=”right”]One of the fastest ways to build celebrity is through the partnerships you develop. [/pullquote] No one makes it on their own. Successful people build solid relationships with others who support their values. Although we have become an instant gratification world, there are those who know that success is not an overnight happening. To truly succeed in any venture, especially building your business using the strategies in this book, it takes time, commitment, and focus. Lay a solid foundation and you are in a great position to reap fantastic benefits. To succeed you must have a long-term view as well as short-term goals. Get into the game of using the internet to build your business and market position with the knowledge that this does take effort, work, investment, and time. When you do, you are way ahead of the majority of people who attempt this for a little while only to give up when they realize it is real business at its best. 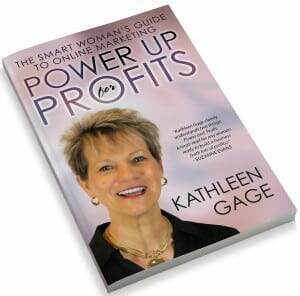 Kathleen Gage is the “no-nonsense, common sense” online marketing strategist, speaker, author, product creation specialist and owner of “Power Up for Profits.” Kathleen helps entrepreneurs make money online. Her clients are driven by making a difference through their own unique voice. Kathleen’s mission is to help people understand that their business is merely a means to get their message out to the world. She teaches that it’s not just about what you do, but the reasons behind why you do it. Her newest book, Power Up For Profits; The Smart Woman’s Guide to Online Marketing is the perfect resource for any author who wants to reach more of their market in the fastest, most cost effective methods possible. For a very limited time when you order the book through Amazon you receive Kathleen’s report “How to Make Your First $100 Online” and “Sell Thousands from Any Platform” at no cost to you. Click here for full details. Join me when I host Kathleen Gage on Adventures in Visibility on July 26 at 10:00 am PT. Adventures are free. Click here to get notified when the details for attending the event are available. Nice write up and well written. Just to add, partnership is something I had yet to try out but had contacted a few peeps to get it working. I see many opportunities when it comes to partnership and it goes way beyond business and brand. At times, you will never know how much goodness it can bring! Well said and scheduled on buffer. Great marketing strategies one can apply to their business. Thanks for the tips! I know that Kathleen is such a powerful speaker and she offers so much value. I won’t be on the call because I have a class this Friday but I’ll be sure to watch the replay (like always). Thanks for putting together these adventures!! Thanks Ilene. Yes, Kathleen is a superstar and I’m looking forward to our conversation on Friday, as well. You’ll be alerted when the replay video is available. Thanks for stopping by!